We’d love your help. Let us know what’s wrong with this preview of The Perfect Murder by Stewart Giles. From #1 best-selling author Stewart Giles comes the new mystery set on the Cornish coast. Where the pretty villages and towns hold some very dark secrets. Harriet and th From #1 best-selling author Stewart Giles comes the new mystery set on the Cornish coast. Where the pretty villages and towns hold some very dark secrets. To ask other readers questions about The Perfect Murder, please sign up. Detective Harriet Taylor is new to her post, but she loves the small town lack of crime... until today. Two cats are found mutilated.. in the same neighborhood. Because the supervisor is a cat lover, she and her team are dispatched to investigate. They do their duty but honestly cannot see why the homicide department should be looking into this. But several hours later, a woman who had found her cat on her porch, is now found dead herself in her garage. There are four words printed on the back of her neck. But that isn't the last body that turns up with words written on the back of their necks. Taylor is afraid that they have a serial killer on the loose. This is a cleverly written crime thriller ... with just a hint of humor. Taylor is a great character... she really gets involved in this case and picks up clues that no one else seems to get. Her 'gut feeling' is her guiding light. Without giving away spoilers, the secondary characters... the suspects .... are diverse and interesting. I love the back story of this crime. WARNING: If you can't handle animal cruelty, then the reader should probably skip the 2nd and 3rd chapters. The first chapter is a lead-in that you won't want to miss. And once past the cats, the story still remains a good read. Many thanks to the author / Joffee Books / Netgalley for the advance digital copy of THE PERFECT MURDER. Opinions expressed here are unbiased and entirely my own. This is the 2nd book in the Harriet Taylor series by author Stewart Giles but the 1st book I have read by this author. When two cats are found mutilated in the small Cornish town of Trotterdown it is investigated because the supervisor is a cat lover. Several hours later, a woman who had found her cat on her porch, is now found dead herself in her garage with four words printed on the back of her neck. DC Harriet Taylor now fear there is a serial killer on the loose. I found this to be a very ent This is the 2nd book in the Harriet Taylor series by author Stewart Giles but the 1st book I have read by this author. I found this to be a very entertaining read and my enjoyment was not spoilt by not having read the previous book in the series. I now intend to read not only that book but others by this author. I would like to thank Net Gallery and Joffe Books for supplying a copy of this novel in exchange for an honest review. I have been looking forward to meeting Harriet Taylor again, after reading The Beekeeper, and I wasn’t disappointed. This is a fast paced story with dead end's and curve ball's a many as we join the team in a race to uncover the murderer before any more people die. Stewart has brilliantly created a murderer that turns on its head everything you thought you knew about the profile of a serial killer. Excellent read. The story begins with the death of 2 cats and from that point I was hooked and just I have been looking forward to meeting Harriet Taylor again, after reading The Beekeeper, and I wasn’t disappointed. The story begins with the death of 2 cats and from that point I was hooked and just kept turning the pages. This is a very unique story which keeps the intrigue building throughout the book. There are many twists and turns with the ending being a real shocker. I love Harriet. She is a very compassionate person who sees a lot of good in people and this makes her an excellent detective. She is backed by a team who all work together excellently. We get to know them a little more in this book as their characters develop and we learn about their private lives. All are realistic characters with depth. 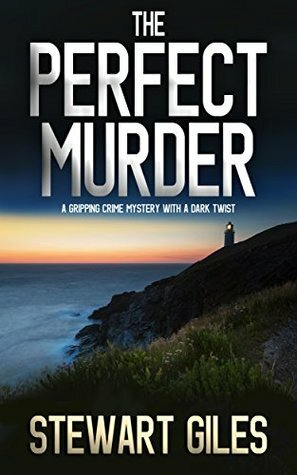 I would like to thank Netgalley and Joffe Books for an advance copy of The Perfect Murder, the second novel to feature DC Harriet Taylor of the Cornish police. It's extremely quiet at Trotterdown station but even so the team are not happy to be sent out to investigate two dead cats until they realise the cats have had their ears, noses and paws cut off. Still, there are grumbles about time wasting until one of the owners is found electrocuted by the spade she was going to bury the cat with. I thor I would like to thank Netgalley and Joffe Books for an advance copy of The Perfect Murder, the second novel to feature DC Harriet Taylor of the Cornish police. I thoroughly enjoyed The Perfect Murder which has a suitably twisted plot, pleasant characters and a very readable style which held my interest throughout. The plot is unusual and not your run of the mill serial killer narrative. It is inventive and interesting and while I guessed the perpetrator early on it did not detract from my enjoyment. It is a straightforward, 3 person narrative, hunt the killer novel so the reader is not subjected to the killer's thoughts and all the cod psychology that usually accompanies them so it's refreshingly old fashioned in this respect. I thought the solution and the reasoning behind it a bit tame and it did stretch my credulity somewhat but the journey to that point is absorbing. I like the characters and the mix of work banter, solid investigation and snippets of their domestic problems. As the protagonist it is mostly about Harriet who is a smart and dedicated detective with a troubled past. It makes for a pleasant read to see her try and take steps to shrug off the past and embrace the present. Detective Harriet Taylor is not very impressed when she is sent to investigate the mutilation of two cats in the same town.Surely that is a case for the R.S.P.C.A not the police.But then things take a sinister turn when one of the cat owners is found dead on the same day. The woman had four words written on her neck.When another body is discovered to also have four words written on it,Harriet begins to wonder if the small Cornish town of Totterdown might have its very first serial killer. Can Harr Detective Harriet Taylor is not very impressed when she is sent to investigate the mutilation of two cats in the same town.Surely that is a case for the R.S.P.C.A not the police.But then things take a sinister turn when one of the cat owners is found dead on the same day. Can Harriet stop the murders and work out the connection to the local writing group,who conveniently enough have recently been tasked with writing stories on the theme of The Perfect Murder? The characters in this gripping mystery where a mixed bunch of realistic personalities.I loved old Bert Applewhite,it was such a shame that he only appeared once in the story.I liked the relashionship between Harriet and her boss Jack Jillian,I liked the banter between the police team members,they had their disagreements over the case but they worked well together.You also learned some background information about some of their private lives but not so much that it came across as padding.I thought I had worked out who the killer was but I was wrong,I do love it when that happens.The reason behind the killings was very cunning but also quite sad,the ending of the story was unexpected but didn't fit with what we had learned about that character. The story is fast paced,has a number of unexpected twists,a gorgeous setting and some heart pounding danger.There is also a touch of romance but not enough to put off readers like me who read thrillers because they like twists,mystery and hopefully plenty of action.Although this is the second book in the Harriet Taylor series it can be read and enjoyed as a stand alone. The start of the book is one of the best introductions I have read this year, with a man committing the perfect murder by drowning a lady in a bath tub, but all is not as it seems. The story then progresses to a sleepy little village in Cornwall with the local police getting bored. This is until two cats are left mutilated outside their respective owner’s houses. When the police investigate they find a dead body in one of the owner’s garages so start to investigate this. Shortly after this more de The start of the book is one of the best introductions I have read this year, with a man committing the perfect murder by drowning a lady in a bath tub, but all is not as it seems. Shortly after this more dead bodies appear and the police have to start looking for their first ever serial killer. Fortunately for them they have Harriet working for them, the same Harriet from book 1, who will not drop any case and follows it through to the very end and, as with book 1, the ending wasn’t that surprising. The ending doesn’t take anything away from the fact that it is a great read. I am a massive fan of crime fiction and I love reading the new releases in this genre and I do get excited by certain authors and this was a book I had been looking forward too from when I found it was due to be released. Well now I have read the book I have to say that I wasn't disappointed at all and I LOVED this book!! For me it is a gritty, fast paced story that held my attention until the very end. The writing style is superb and it flows so well to carry the story through to a brilliant ending. DC Harriet Taylor receives a request to investigate the killing and mutilation of two cats in the town of Trotterdown. (I hate this kind of violence against animals in books.) Harriet and PC White speak to the owners of the cats. Both mention that they are going to bury their pets. After returning to the station, they learn that they needed to ask more questions of the pet owners. Returning to the neighborhood, Harriet discovers the body of the woman Jane McDonald in the shed clutching a shovel. She has been electrocuted. At the autopsy, the pathologist discovers some odd words written on the back of her neck. Another death occurs. A young man David Thompson has gone over the side of a cliff at the location of an outdoor party. When more words are seen on the back of his neck, it’s obvious the two murders are related. Harriet leads a press conference. Another man is stabbed to death in the restroom of a local pub. Four words are written on his forehead. His name was George Andrews. A Mr. Breary comes into the station and says that someone stole his perfect idea. The members of the Trotterdown Creative Writers Association had an assignment to write the perfect murder scenario. Written on George Andrews’ forehead was the title of his story. From Mr. Breary, the police learn that the four words written on each victim was the title to the writers’ stories that they wrote for the Perfect Murder assignment. Another man is killed using the plot of one of the short stories. The professor who lived across the street from one of the victims has gone missing. The identity of the murderer comes as a surprise. This book is fairly well written and well plotted. It seemed a little simplistic, as though it were a cozy mystery rather than a regular action-packed mystery. I liked Harriet better than in the last book. In fact, I liked the book better than The Beekeeper. Mr. Giles’ writing has improved since his last venture. It’s quiet at the station for a change so when two reports of mutilated cats come in from the same street, the team go round if only to get out for a while. Suddenly things take a turn for the worse and murder is involved- not of cats but humans. They have never dealt with a serial killer before and as the bodies mount it is becoming more and more likely. A brilliant start for a plot. DI Killian has things going on at home as well as work and the team have to pull together and use their initiati It’s quiet at the station for a change so when two reports of mutilated cats come in from the same street, the team go round if only to get out for a while. Suddenly things take a turn for the worse and murder is involved- not of cats but humans. They have never dealt with a serial killer before and as the bodies mount it is becoming more and more likely. A brilliant start for a plot. DI Killian has things going on at home as well as work and the team have to pull together and use their initiative to progress the case. His wife has dementia and caring for her takes much of his time. This is a well written book with a nicely thought out plot. Nothing too gory, in fact a fairly lighthearted read (in the world of murders and detectives) with a little humour thrown in. the literary link is wonderful. If you are looking for a different twist in the crime world then this book could be for you. Left me with a smile! An extremely quick read. To me, this is like a penny dreadful, a quickly churned out novella for an audience that wants to satisfy their appetites for thrills by reading murder mysteries. The genre is the lure, not necessarily the writing or the characters. It’s fine for what it is. However for readers who want more style and substance from their books, this is not the right sort of read. The characters have no depth; they’re practically caricatures, a feature that likely works well for readers An extremely quick read. To me, this is like a penny dreadful, a quickly churned out novella for an audience that wants to satisfy their appetites for thrills by reading murder mysteries. The genre is the lure, not necessarily the writing or the characters. It’s fine for what it is. However for readers who want more style and substance from their books, this is not the right sort of read. The characters have no depth; they’re practically caricatures, a feature that likely works well for readers who like that familiarity in this kind of story. Despite the author putting in aspects of the detectives’ lives, it’s informational rather than connecting the reader to them and creates neither identification/empathy nor sympathy. The dialogue is clichéd and unremarkable, often tending to tedious. While it’s one thing for dialogue to be realistic, this sounds more like a transcript at times, and if you know anything about actual conversations transcribed, you know that they’re not as entertaining to read. It might work well as a script with actors bringing more to the words as they’re written. Perhaps it would even work if the characters themselves were more fleshed out but I find it doubtful. The ends of some chapters that were designed to give shocking information seemed rather obvious to me personally, based on the text. The plot itself is interesting enough but I don’t want to accidentally with spoilers. I didn’t like the allusions to the previous book in the series because they gave the killer away. Any reader who picks up the second book not knowing there is a first book is unlikely to go back and read the first one when the mystery is ruined. The clues to the murderer’s identity are well laid through the book. I don’t know that the motive is believable enough. I did like how the story ended; it was poetic. What a great start to the book! We are at the scene while the perfect murder occurs. But wait! We soon discover that this murder hasn’t happened. It’s the work of a writer who is sharing his story with his writing group. In the space of a few days, we discover that all the fictitious ‘Perfect Murder’ stories read aloud that night are being enacted in real life. Suspicion immediately falls on the writing group members as they are the only people who heard the stories. Detective Harriet Taylor and h What a great start to the book! We are at the scene while the perfect murder occurs. But wait! We soon discover that this murder hasn’t happened. It’s the work of a writer who is sharing his story with his writing group. Detective Harriet Taylor and her colleagues are stymied. They know the manner in which people will die but the victims to date have been chosen randomly, so it’s hard to know who to warn. As the team work through the clues that are taking them in all directions, the pressure is mounting as each murder is taking place on consecutive days. Here’s the “but”. I do think the “gripping crime mystery with a dark twist” descriptor is misleading. While the crimes were heinous, the manner in which the story unfolded leaned more on the cosy mystery side than on the dark side. I was expecting a heavier read and this was not it. The pacing felt slow and the team unfortunately came across as a group of plodders. And it definitely did not help that I guessed who the murderer was well before the end of the book. This police procedural is generally well written. I was hooked after the excellent start but overall the book did not meet my expectations in terms of how it was marketed. I do plan on reading the first Harriet Taylor book but will begin with a clearer understanding of the author’s writing style for this series. DC Harriet Taylor and her team are having an unusually peaceful time at their station when two strange phone calls come in about neighbours with dead cats. As the team has nothing else to do, they are sent to investigate. Hours later, one of the neighbours is murdered in a very peculiar way. When another murder is committed, they start to look for connections, but there seem to be none. Has Trotterdown town got a serial killer? And is he committing perfect murders? This is the second in the Harriet Taylor series, The Beekeeper is the first. It does however work well as a standalone. There are odd references to the book, but these are well explained without going into too much detail. The Beekeeper was my very first blog tour, and will always have a special place in my heart, but "The Perfect Murder" was even better. I did not work out who the killer was, and I was glued to the book, turning page after page, desperate to see what would happen next. The book opens with DC Harriet Taylor and her colleagues complaining that it’s too quiet but they should be careful what they wish for! Two cats are mutilated which they don’t take seriously until one of the owners is found murdered later the very same day. Another death follows then another, all linked by the four strange words written on their neck. This book is part of a series, and the first I’ve read by this author, but can be read as a stand alone but I would recommend if you have the first, The Beekeeper, on your reading list, you should read that first as this novel contains some minor spoilers. What I liked about this book was it didn’t take itself too seriously. It was fast paced and easy to read. I did find a few of the killings a little far fetched but they seemed to be well researched and could possibly happen in real life. Detective Harriet Taylor has been called to investigate two deaths - two cats have been killed and mutilated and left on their owners’ doorsteps. A few hours later one of the owners is dead - electrocuted before she could bury the cat’s body and the killer has written a message on her body. The following day a teenage boy falls into a quarry while at an outdoor party with friends - seems like an accident but there’s writing on him too. The investigation seems to be going nowhere until there is a Detective Harriet Taylor has been called to investigate two deaths - two cats have been killed and mutilated and left on their owners’ doorsteps. A few hours later one of the owners is dead - electrocuted before she could bury the cat’s body and the killer has written a message on her body. The following day a teenage boy falls into a quarry while at an outdoor party with friends - seems like an accident but there’s writing on him too. The investigation seems to be going nowhere until there is an unexpected breakthrough but the killer surprises everybody. Really enjoyed this book - I haven’t read the first in the Harriet Taylor series but that didn’t detract from my enjoyment of this one. Literally from the first page, I was hooked on this book. As a cat lover, I was appalled at what happened to the cats but, when the first murder was discovered, I couldn't put the book down. I loved the setting and the attempts by the writing group to describe the perfect murder were all ingenious. I haven't read Stewart Giles previous book but that wasn't a problem as the book can be read alone. The police are presented as real people with their own prejudices and problems and I loved the dashes Literally from the first page, I was hooked on this book. As a cat lover, I was appalled at what happened to the cats but, when the first murder was discovered, I couldn't put the book down. I loved the setting and the attempts by the writing group to describe the perfect murder were all ingenious. I haven't read Stewart Giles previous book but that wasn't a problem as the book can be read alone. The police are presented as real people with their own prejudices and problems and I loved the dashes of humour which the story contained. I'm closing the tour today and would like to thank Joffe Books and Jill for allowing me to read a copy in exchange for an unbiased opinion. Another fantastic offering from Stewart Giles! If you she read The Beekeeper, read this, if you haven't, make sure you do. These are (fairly short) easy reading books, with a unsuspecting twist. Again I was surprised at the ending. What I enjoy most about these books are they are easy to read, with prose that flows well. The stories don't have I'm closing the tour today and would like to thank Joffe Books and Jill for allowing me to read a copy in exchange for an unbiased opinion. In this second book of the DC Harriet Taylor series, Harriet and her team have a series of bizarre deaths to investigate. It all starts with the killing and mutilation of two cats which are found on their owners doorstep. the investigations pick up pace, especially when another victim turns up with another four words written on them In this second book of the DC Harriet Taylor series, Harriet and her team have a series of bizarre deaths to investigate. the investigations pick up pace, especially when another victim turns up with another four words written on them. Is this the work of a serial killer? This is an interesting plot with twists and turns aplenty, likeable characters and a touch of humour. Well worth a read. This story is about a small town in it is a writers group who is writing a story on how to commit the perfect murder. First two cats are killed, then two people are killed. Detective Harriet Taylor really doesn't want to investigate this, but when all four have the killer's "calling card" on them, she has no choice. Even though this is a murder story, there is still humor in it, which makes it enjoyable to read. Can Detective Harriet figure out if someone in the writer's group is trying out thei This story is about a small town in it is a writers group who is writing a story on how to commit the perfect murder. First two cats are killed, then two people are killed. Detective Harriet Taylor really doesn't want to investigate this, but when all four have the killer's "calling card" on them, she has no choice. Even though this is a murder story, there is still humor in it, which makes it enjoyable to read. Can Detective Harriet figure out if someone in the writer's group is trying out their theories or is someone else trying to make it look like the writers group is guilty? Read the book to find out. Two cats have been killed and then one of the owners and it's DI Jack Killian's job, with the help of DC Harriet Taylor to investigate. But how many more deaths will there be before they can stop the murderer. And is there any link to the local creative writing group and their recent stories. An enjoyable, easily read mystery which can be read as a standalone story. It’s a decent read. Not too many twists or turns. I enjoyed not having to wade through a bunch of filthy language for a change. Too many authors equate continuous cursing and foul language as a substitute for quality writing. My first not featuring Smith. Despite guessing the murderer fairly early on this had lots of plot twists to have me second guessing myself almost until the end. Another good un by Stewart Giles. Plausible storyline, with lots to keep you turning the pages. Look forward to the next one. I had not read any previous books by Stewart but this was a good fast paced thriller that had me guessing. I will certainly be reading more. Very good characterization. Very good storyline. Well recommended for people who enjoy easy reading mystery stories. The premise of this book was great, but unfortunately it didn't fulfil it's potential.